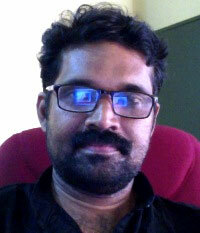 Dr. R Girish Kumar is Assistant Professor in the School of International Relations and Politics. He is also Chairman of the Centre for Trade, Development and Governance. Dr. Girish Kumar who has an interdisciplinary educational background received his M.A and LLB from the University of Kerala and PhD from the Mahatma Gandhi University. He is also Honorary Director of the K.N. Raj Centre for Planning and Centre-State Financial Relations, Mahatma Gandhi University. His areas of specialization are Intellectual Property Rights, International Law, International Financial Institutions, Environment, Politics of Outer Space and Health Policy. He has to his credit several books and articles in reputed journals. He has research experience in several well known international institutions : as Jean Monnet Fellow at the Robert Schuman Centre for Advanced Studies, European University, Florence, Italy; as Pavate Fellow, Sydney Sussex College, and Visiting Fellow at the Centre of International Studies, University of Cambridge; as ICSSR Fellow at the Indian Law Institute, New Delhi; as Research Associate at the Centre for Development Studies; and as a Fulbright Fellow at the George Washington University Law School, Washington DC. His current research projects are on “World Trade Organization, Public Health and South Asia” funded by the University Grants Commission, on “Asset Management in Local Governments in Kerala” funded by the World Bank, and “Business Innovation and Incubation” funded by the Government of Kerala. Dr. Girish Kumar has also served as Member of the Syndicate, and Convener of the Academic and Research Committee, University of Kerala; founder Director of the Department of International Relations and the Capital Centre, Dean, International Co-operation, and WTO Chair Professor at the Central University of Kerala, Kasargod. The Business Innovation and Incubation Centre of the Mahatma Gandhi University that he is currently heading aims to strengthen the structure of innovation by nurturing student start-ups and ensuring university-industry interface.